As I mentioned in my most recent email, here is the promised recipe for a great smoothie that can help improve sleep, energy, libido, plus relieve anxiety and support the adrenals! 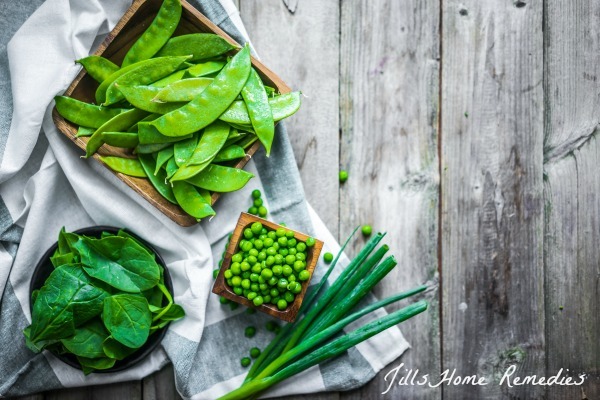 (If you are not a JHR subscriber, you can subscribe here to stay informed on all the new natural health updates as well as occasional information not shared here on the blog.) This recipe is taken from the newly released book Alchemy of Herbs. If you’d like your own copy, today is the day you want to buy it! More on that below. Ashwagandha is the star herb in this smoothie recipe! 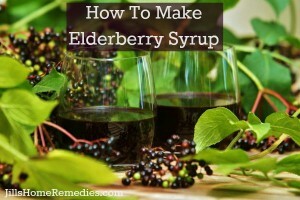 By simply adding this herb to a smoothie, you can improve your health in an easy way. I did tweak it slightly and that is indicated in the recipe in parenthesis. Trust me when I say that this recipe is delicious and so very healthy! 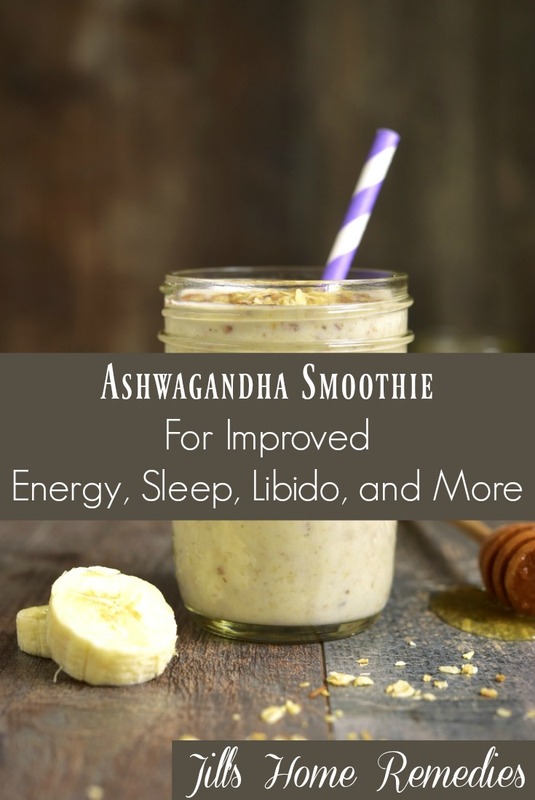 This yummy ashwagandha smoothie is a great way to share the nourishing and supportive qualities of ashwagandha. If you have a sensitivity to dairy, use any nondairy yogurt of your choice. For the nut or seed butter, peanut, almond, cashew, and sunflower seed butters are all good options. Place all the ingredients into a blender. Blend until smooth. Pour the mixture into glasses. Use a spatula to get all the liquid from the sides of the blender—there are lots of good herbs in there. Copyright © 2017 LearningHerbs.com, LLC. All Rights Reserved. As I mentioned in my recent email, this book that I got this recipe from is now on my list of top favorites! 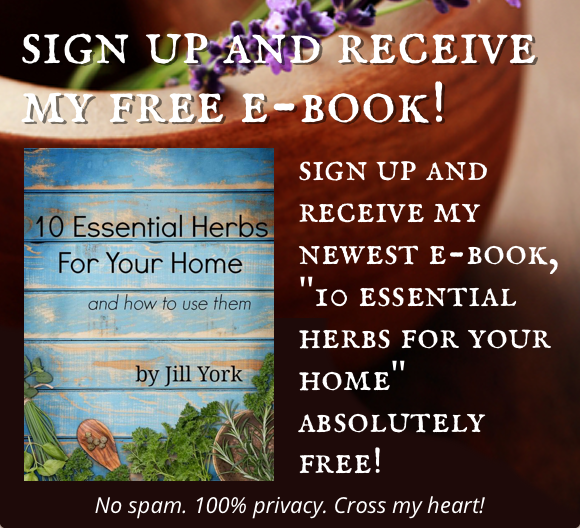 Not only because it has food and medicinal recipes with beautiful photos and amazing information on each herb it covers, but also because it tells you HOW to use these herbs for different health ailments – which is hard to find in herb books! You can purchase this book anytime in the future through places like Amazon, but if you buy one by tonight at midnight, you will not only get a discounted price (Amazon is supposed to raise the price next week), you will also get access to The Kitchen Apothecary Collection as part of a pre-launch bonus! I have dug into this collection and it is really great! 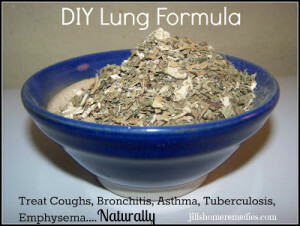 I was able to watch Rosalee create some of these remedies in her book and it was very helpful as I am a visual learner. 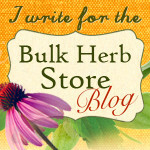 Click here to see The Kitchen Apothecary Collection! Just go here to see if The Kitchen Apothecary Collection is something right for you, and start growing your herbal medicine chest! I Knew I Was Not Healthy! * I am republishing this post from its original date of May 4, 2011. Part 2: The Doctor Thought I Was Crazy! Part 3: The Answer To My Craziness! Part 4: My Recommendation For You! I haven’t always been into home remedies. In fact, I was really turned away from them growing up. I knew someone once that would very loudly talk non-stop about “home remedies” every time I came into contact with them. It just really turned me away from that kind of thing. (But now I could listen non-stop and find it very interesting. I just try to get past the loud part ;)). Anyways…I didn’t grow up on vitamins or any kind of nutritional supplements. I followed the advice of any doctor that told me anything, thinking it was the best option since a doctor said it, instead of researching what was best for me. Now, I am not against doctors, but I believe there should be balance! I began taking antibiotics every day for acne as a teenager. That’s right! My dermatologist prescribed for me to take antibiotics every day for acne. I ended up taking them for 6 years every day. Anyone I tell this to, including most doctors, cannot believe I would be put on antibiotics every day for so long. Are you getting this every day thing? No one should be taking antibiotics on a daily basis year after year. Maybe you think I’m a real dummy for not knowing better, and I would have to now agree, but I had no idea what it was doing to my body! 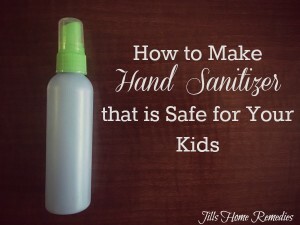 All I knew was that it kept my face clear (and we know how important this is to teenagers! ), and that my doctor told me it was what would help me do that. And remember that up to this point I did whatever a doctor said I should do. I’ll share later how taking too many antibiotics affects the body. Do you know how very damaging taking a lot of antibiotics is to a body? It’s not something to take lightly. For a few years as a teenager, I was more fatigued than a teenager should be. But as I began college, I was extremely fatigued! I had a hard time walking up a hill – it plain ol’ wore me OUT! I knew this was not normal because I was considered to be a healthy girl. I had lots of headaches and would have to spend days resting from my fatigue. I hated missing my college classes during this time! I had tests run, just knowing that I had some horrible disease, but test after test showed I was healthy. Now, I’m very thankful I don’t have a disease, but I knew something was wrong! I decided to let it drop and just live with it. Then I married my wonderful husband (I sure do love him! :)) and had a home to take care of. I got to the point that I would wash the dishes and have to lay down, brush my hair and have to lay down, sweep the floor and have to lay down – etc. It was very frustrating! I found out I was expecting our first child and the doctor recommended I go off my antibiotic, so I did. Well, my body didn’t know what to do because it was used to the medicine on a daily basis, so I began to have strange things happen to me that made me feel like I was crazy. I did not realize until later that my symptoms were from withdrawals, and also from what the medicine had done to me all those years. I wanted answers! Have you ever been at a point in your life that you just knew you were not healthy? Have you ever pinpointed part of it to medication? Before reading this post, be sure to read How To Know If You Suffer From Adrenal Fatigue if you have not. It all started for me when I was in college. I had been going full speed ahead working and going to my local high school, which meant going to bed late each night and getting up early for school each morning. I continued full speed ahead in college, but my schedule became so much busier. I was working 2 part-time jobs, going to school full time (which included taking classes from teachers that said I should study 6 hours if I wanted to pass their tests…very stressful), being very involved in the ministries of the local church there, making new friends, falling in love with the sweetest, best-looking southern gentleman I’d ever met… All of these things meant that life was wonderful but very busy and stressful too. I also got very little sleep in high school and college. Stress + little sleep= adrenal fatigue. I suffered for years without even knowing it. I had no idea what was wrong with me. I was used to going to a doctor anytime I didn’t feel well and doing whatever they said I should do. However, this time, the doctor said I just needed antidepressants and sent me on my way with prescription in hand (which I did not take). This was the first time I didn’t take whatever my doctor told me was best for me. The doctor literally made me feel crazy for the things I told him I was going through and I felt so discouraged and hopeless of feeling normal again. My symptoms were things like…feeling like I was flying when my feet were firmly on the ground, or feeling like my car was going to fall off the end of the earth when I topped the next hill, or feeling panicky when I was in a crowd of people or was talking to someone that I felt like I couldn’t get away from (that can make us all panicky, huh? :)), or unable to handle heights when normally I could, or being afraid to go anywhere for fear of anxiety or panic attacks hitting me. When I think about all the symptoms I shared with my doctor, I can understand how maybe he thought I was a little crazy. Doctors are wonderful for emergencies, but they simply are not educated in the field of nutrition and do not know how to help someone in my situation. If you relate to any of this, let me tell you that there is hope and there is an answer for you! You can feel normal and wonderful again. One thing you have to understand when you are healing is that it takes time. When you are truly getting to the root of a health problem it takes longer to feel better than using medication that only covers up symptoms. Medication does not bring true healing, correct the real problem, and can have unwanted side effects. Plus with the root problem still not being fixed, your health will only get worse. You have to understand that you need to give time for healing to take place. 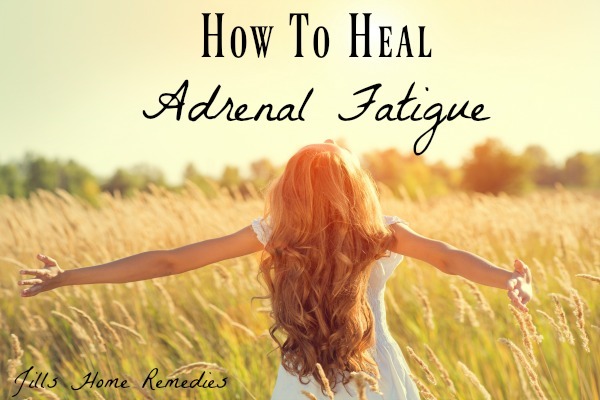 The length of time for healing depends on how severe your adrenal problem is. Don’t panic (we don’t need any more of that) – it won’t take you this long to feel better, it can just take this long to completely heal. I had major adrenal fatigue but started feeling better within just a few weeks and felt like a new person in a few months. It can just take this long to heal your adrenals completely, but you will feel better much sooner than that. The vital thing is that you are intentional about healing yourself. Don’t just choose one thing to do from the list below. Let me tell you from experience to do them all at the same time. The word sleep probably makes you want to curl up under the covers, doesn’t it? That’s how I was. Sleep sounded nice all the time. To heal your adrenals, you need 8-10 hours of sleep each night, plus you need to rest during the day if needed, even if it’s just 15 minutes. The amount of sleep you need depends on how bad your adrenals are. Do not have parent guilt about the need to sleep. It’s easy to feel guilty resting when there is so much to do. I can get crabby if the dishes aren’t done and the house isn’t in order (just ask the kids), but sometimes we have to go to bed with the dishes stacked instead of washed and dried and the house in need of cleaning because we have to take care of ourselves when our body reaches a point that it’s crying out for help and healing. Do you realize that is what your body is doing? It is trying to get your attention so that you will do what is needed to heal. That’s why I’m here – to help you do it! 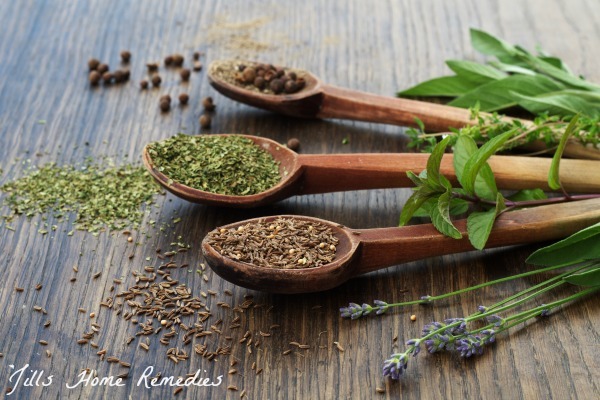 Another important must-have in healing is to take adaptogenic herbs (these are herbs that help to heal and support the adrenals). I happen to have several adaptogenic herbs on hand so I made my own tincture recently (recipe coming in the next few weeks), but you can also buy the tincture. I recommend taking these herbs in liquid form under the tongue so that they will go immediately into your body and do its work. 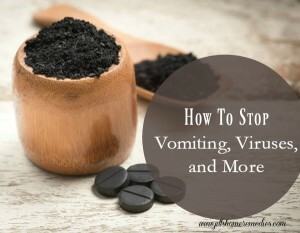 You certainly can make your own herbal medicine for this, but if the chiropractor had told me to make my own tincture 20 years ago when I could barely brush my hair without fatigue, I would have cried. If you are at a point of being too overwhelmed to make your medicine, or it just does not interest you to do so, I recommend Adren-L-Aid here and Adren-L-Aid II here (for pregnant and nursing mommies). B-vitamins are essential for the nervous system. So if you are having anxiety, panic attacks, depression, etc., you are likely deficient in the b-vitamins. I was experiencing heart palpitations about a year ago and started a b-vitamin complex and the palpitations literally stopped overnight. I had been dealing with them for weeks. My body was deficient in these vitamins and that’s how it was letting me know. It’s important to take the whole complex and not just a few select b-vitamins. I highly recommend this complex from Garden of Life. I have found that cheaper brands don’t work as well. And this bottle lasts for 2 months! Also, it’s always a good idea to take a whole food vitamin as well. 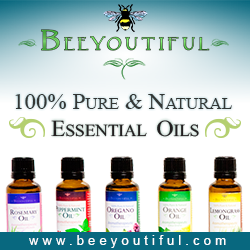 I love SuperMom from Beeyoutiful! They also carry SuperDad, SuperLady, and SuperKid vitamins. Cultured Foods are one of the best things you can add to your diet. They are full of billions of probiotics, enzymes, aminos, and lots of other nutrition. I recommend checking out Cultured Food Life for more information. I highly recommend consuming all 3 cultured foods (kombucha, kefir, fermented vegetables), but if you choose just one for your adrenals, choose kombucha. I typically make my own (of course because it saves money), but I do sometimes buy it as well. My local Wal-Mart sells raw organic kombucha and it is great stuff. With anything healthy, it’s easy to get out of the habit of consuming something. I have been making kefir mainly here lately and it does wonders in keeping us healthy, but I just recently started making kombucha again. I am surprised at how happy and energetic I feel almost immediately. I also notice that it calms my nerves and stops panic attacks and anxiety if I happen to be dealing with those. I was reading about kombucha again on the Cultured Food Life website, and she mentioned how kombucha helps the adrenals and has b-vitamins. I was not surprised at all to read this because of how much better I feel when drinking it. 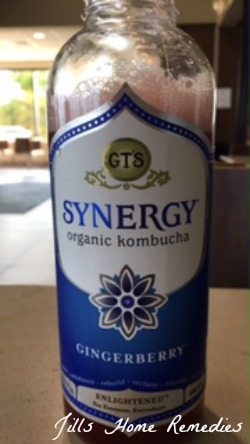 Kombucha has a vinegary sour type taste. I love the taste of it, but if you don’t find you can handle it for some reason, blend some frozen fruit with it and/or add juice to it. Your health will never be the same if you regularly add cultured foods to it! I would start out drinking 4 oz. of kombucha a day for a week, then 8 oz. a day for a week, then 16 oz. a day. I now drink 16-24 oz. a day. I just cannot seem to get enough because it makes me feel so much better and refreshed! There’s that dirty word again. People are always telling you to exercise, aren’t they? You may be thinking, “I can barely walk because I am so fatigued, how in the world could I exercise?” I totally get that. But even if you could talk a slow walk through the woods or around the house a few times, it would do you a world of good. One of my favorite exercises is jumping on the rebounder. Starting out with a few minutes a day and working up to 10-20 minutes a day does so much for your health. This all depends on how sick you are. Do what you can, even if it’s just a little exercise. Diet is another word that people don’t like to talk about. We have our favorite comfort foods that we just do not wish to give up. However, it is a good idea to eat in a way that promotes vitality of life. 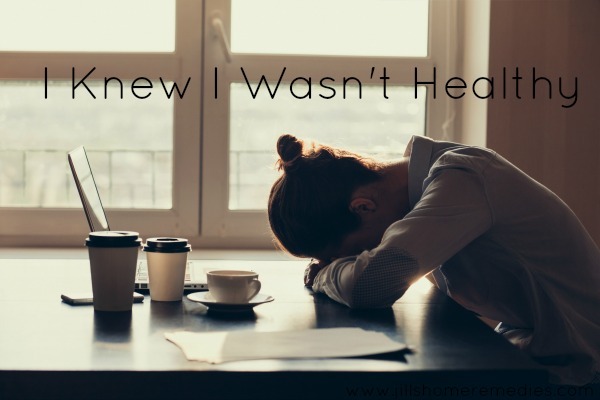 I didn’t change my diet 20 years ago when I was dealing with adrenal fatigue for the first time and I still felt better, but you will heal faster and be overall healthier if you eat differently. Avoid sugar as much as possible. I understand that sugar is a pick me up and we eat it to give us bursts of energy throughout the day. Sugar is quite addicting too! But be careful with it. We may cut back on the cake and candy bars, but sugar is also in bread, fast food, and almost all packaged food. We get a steady stream of sugar in our diets. Sugar is so bad for the nervous system. If you consume cultured foods, you will not crave sugar as much. I notice that especially when I drink kombucha I do not have sugar cravings like normal. I know it’s hard to change our diets of habit, but never give up on trying to eat healthier one step at a time. I was honestly so sick and fatigued 20 years ago that it was hard for me to actually take something that someone said would make me better over time. I had anxiety that it might not work and could have so easily stayed in my mental state of overwhelmedness. I am so glad that I forced myself to try it because I have been able to enjoy a normal life over the past 20 years. Yes, I have been working on my adrenals here lately because I can tell they need help, but I have been able to keep them from getting too bad this time. I fell under the major adrenal fatigue back then for sure. Force yourself to do these healthy things I’ve listed. I’d love to hear from you on your journey! Be sure to comment here or email me at jill@jillshomeremedies.com. Many blessings to you! Let me know if I can help and encourage you in any way. 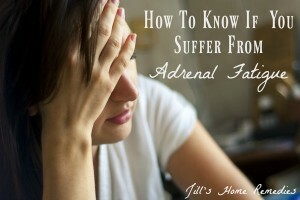 Are you living with adrenal fatigue? Have you tried anything natural to heal them? I’d love to hear about it in the comments below! Gladstar, R. (2008). Rosemary Gladstar’s herbal recipes for vibrant health: 175 teas, tonics, oils, salves, tinctures, and other natural remedies for the entire family. North Adams, MA: Storey Pub.